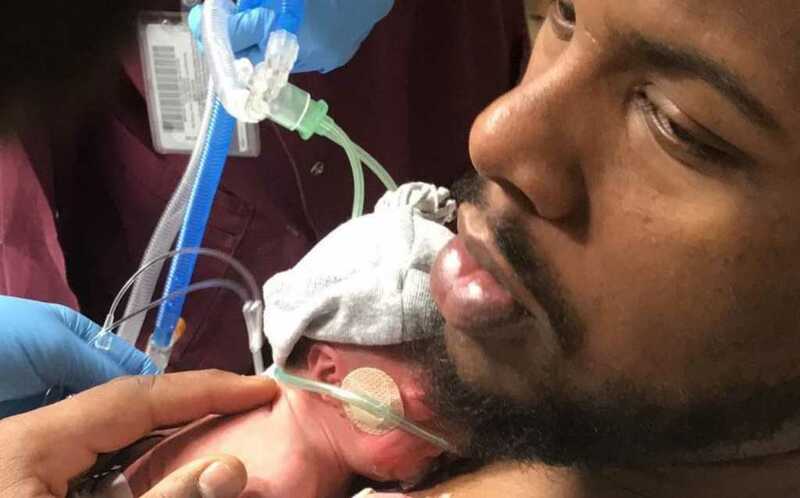 New Orleans Saints guard Jermon Bushrod has spoken out about his utter devastation after his newborn daughter passed away at just a week old. The professional athlete announced the death of his daughter, Jordyn Lynn Bushrod, on social media Oct. 20, saying that she passed on Thursday, Oct. 18. Jordyn Lynn Bushrod 10/11/18 – 10/18/18 My heart is broken. We knew there was issues before birth, but we were ready for your journey. Because of you Jordyn our family is stronger. You were going to be special. We were not expecting or ready for this. Having you leave this earth after 1 week just hurts. My kids are my ❤️ and to never see you again will be tough BUT our GOD will get us through this. We appreciate all the love and support that have been directed our way. Rest in Paradise “Jo-Jo” and I will miss you forever baby girl? Teammate and fellow man of faith, Benjamin Watson, offered his condolences and support in a message posted to Twitter. Los Angeles Rams offensive tackle Andrew Whitworth also took to social media to offer his prayers. Prayers for you and your family brother! Praying love is wrapped around your family. Please pray for Jermon and his family at this devastating time.